Snow removal. It's probably the last thing you think about when buying a house - until the white stuff starts hitting the ground. If you're new to Boulder, you might be surprised to learn that the city only plows a small portion of our city streets. This is particularly hazardous in certain residential areas. 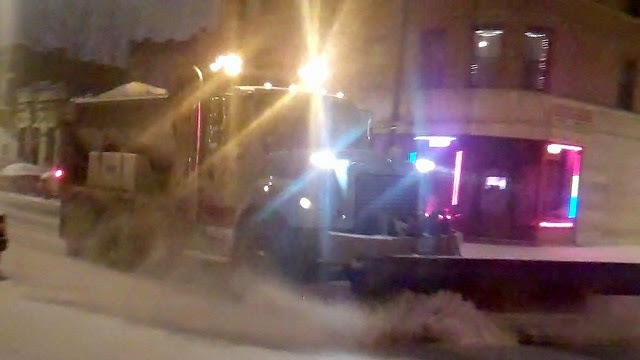 When it snows, Boulder plows primary and secondary streets only using a fleet of 15 trucks. Here's a map of what they usually plow. If there is 8+ inches of accumulation, and the temperature remains below freezing for 72 hours, the City will dispatch two trucks to plow 10 predetermined residential areas. 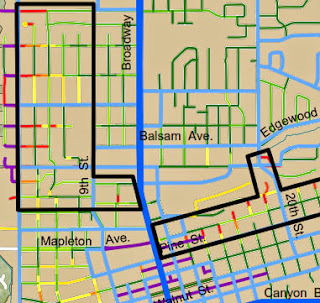 Those areas are depicted on The Residential Street Plowing Map in black boxes. Most of Boulder doesn't get that special plowing, by the way. It's mostly just certain areas west of Broadway and a small portion of downtown. One truck is available to respond to public safety requests. Click HERE to request the truck. The city may not plow your street, but as a property owner, you're responsible for removing snow and ice from your sidewalks within 24 hours after snow stops. Failure to remove snow from sidewalks before the 24-hour deadline results in fines and the responsible party will pay for a private contractor to clear your sidewalks. To report sidewalk violations, call Code Enforcement at 303-441-3333. If you're a senior or disabled, you may receive volunteer assistance through the Ice Busters program. Call 303-443-1933 ext. 402 to volunteer or ext. 416 to request assistance with sidewalk snow removal. Guess who's not getting plowed? 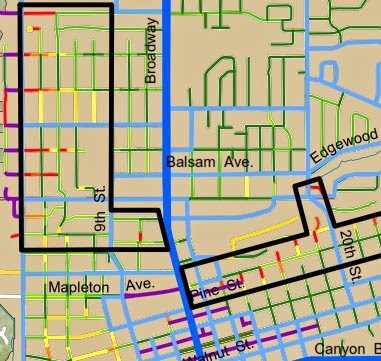 The Residential Street Plowing Map also conveniently shows the slope of streets in Boulder. Do you see the red and orange streets? Those are high slope, i.e. sled runs. The red ones in particular are treacherous when things get slippery, which often occurs with far less than 8" of snow. Does it matter? Yes, especially if you want to mobile in the winter. Parking your car on a street with 8 degrees (or more) of slope is a great way to make friends with the local body shop, too. The fact that the house you're thinking about buying sits on a street that does (or doesn't) get any winter maintenance might make or break a home purchase decision. It's something you should know before you buy a house.